Collective Action Day is October 25, 2018. Here are five proven tips that will help make your day successful. 1. Host an event. 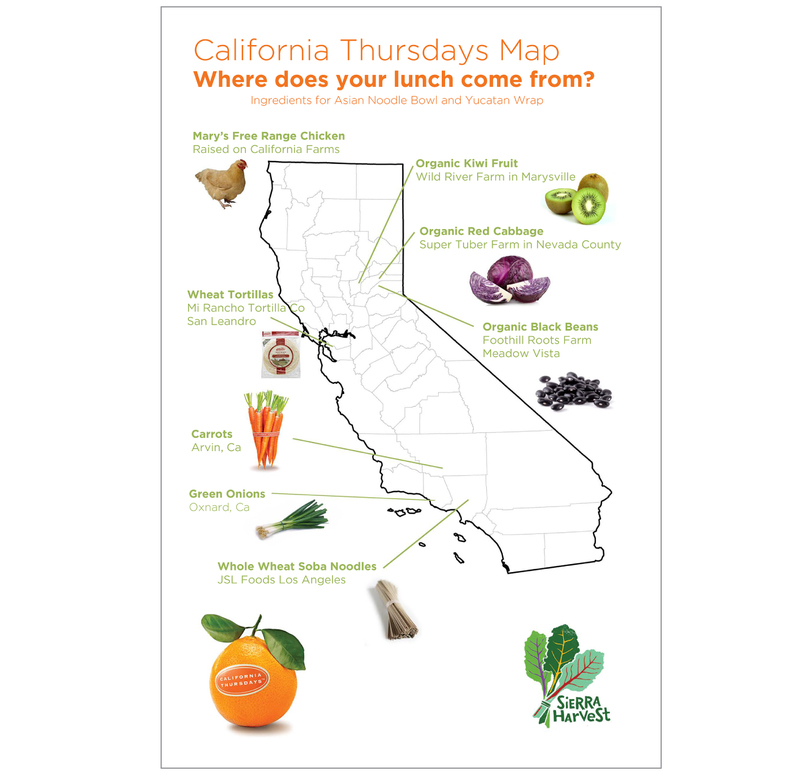 Engage your community by hosting an event that celebrates the California Thursdays® program. Make it festive, and invite farmers, vendors, and food producers who can provide food, recipes, and activities for students. If your lunch period is very busy, consider hosting your event after school to allow more time for parents, school board members, and district staff to attend. 2. Invite local media. One of the most powerful ways to promote your program is to invite local media to your event. The media love photo opportunities, so be generous with your use of California Thursdays t-shirts, buttons, banners, and posters. Feature great food and students (with photo releases) enjoying your meals. To create a powerful media draw, invite your superintendent, mayor, city council, and board of supervisors members. To help you get ready for interviews, the Center for Ecoliteracy is preparing talking points for the event. 3. Promote early, promote often. Starting now, generate interest with signage in the cafeteria and hallways. Use social media and email to connect with your school community. The Center for Ecoliteracy provides you sample social media posts to share with your followers. During and following the event, be sure to post your Collective Action Day photos on social media with the hashtag #californiathursdays. 4. Engage your larger school community. Build excitement and buy-in by enlisting students to help plan, promote, or provide entertainment at your event. Reach out beyond the cafeteria and work with your site principal to cater school lunch for all teachers and staff. 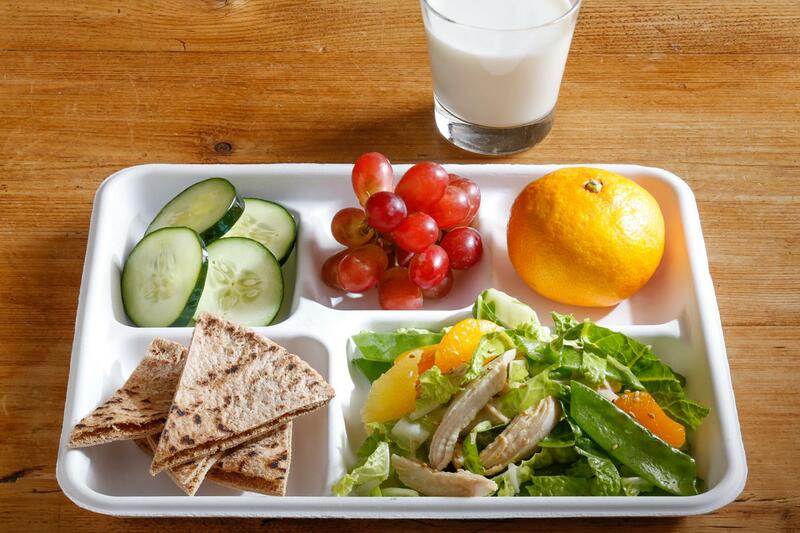 This will not only engage them that day, but demonstrate the quality meals you serve daily. 5. Take beautiful photographs. Good photography is one of the best ways to share your meals with students, parents, and others. Share your photos on social media, your district’s website, and in emails to families. To help you shoot like a pro, check out our Photographing School Food resource, a practical guide to making your school meals look great. 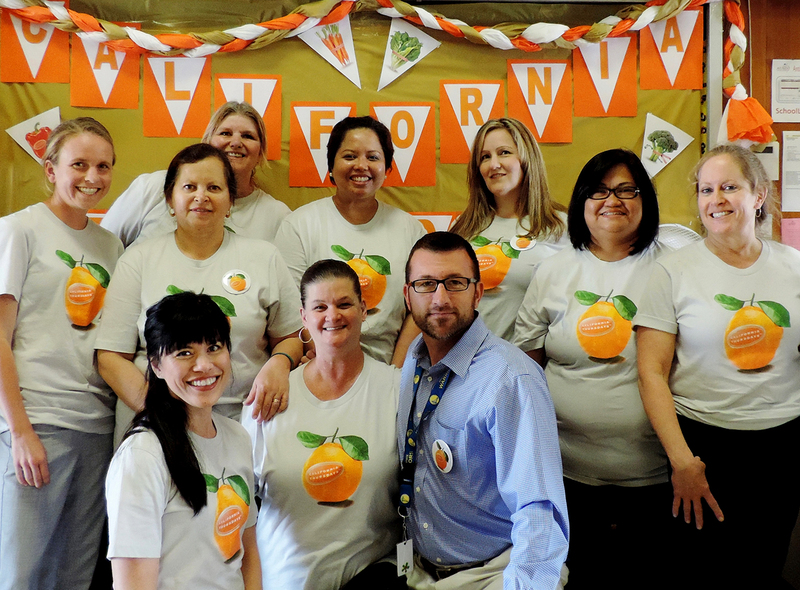 Photos of staff, students, and the community enjoying the day are great assets to have in your toolbox for future California Thursdays promotion.